Jeremy started his working life on the management team at Sainsburys where he worked for eight years before moving to Waitrose for the next seven. He then set up the local franchise for ViewPlus with his wife Claire. 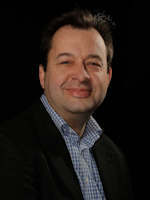 Recognised for his business ability by the board of ViewPlus Ltd Jeremy was made Director Of Operations in the company. In 2006 Jeremy launched the online directory On My Doorstep, rebranding as OMD Websites when focus shifted to website design. 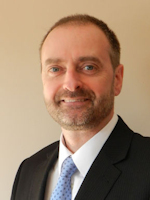 Jeremy has lived in Crowborough for over 40 years and is a very active member of the business community. He is also one of the four person team who organise the extremely successful Summer Fun Day each year in Crowborough’s Town Centre. 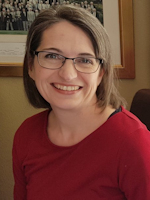 Claire works alongside Jeremy running OMD Websites Ltd. She started her career at the Lloyds Bank Regional Office in Tonbridge where she worked in Personnel and Training, she was then selected to work alongside the Regional Director. When operations were centralised to Bristol Claire left Lloyds to work alongside her husband on the Viewplus franchise and then OMD Websites. 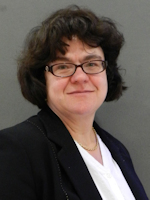 Having lived in Crowborough nearly all her life, Claire is keen to build a sense of community within Crowborough. Gordon retired from HSBC in July 2015 and is looking forward to future opportunities. He moved to Crowborough with wife Lynn and his children in 1986 to take on the role of senior clerk at HSBC. His first management role took him to Hastings followed by Bexhill, Tunbridge Wells, Haywards Heath & Brighton before returning to manage the Crowborough branch in 2004. Their three children all attended Sir Henry Fermor school moving on to Beacon to take their A levels. Gordon is a keen fan of classic cars and can often be found wielding a spanner in his garage. Entering its seventh decade, Jenny Rickwood of Guest’s Shoe Services is the third generation of the business set up by her grandfather in 1952. Throughout her childhood shoes and shops were a big part of her life. 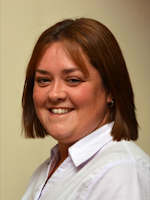 Having tasted Crowborough in her youth Jenny moved to Crowborough in 1997 with her husband. After working for Waitrose for 11 years, Jenny left to concentrate fully on the family business. Jenny, along with three other local business owners, has been responsible for organising the popular Crowborough Fun Days each summer in the town centre. With a young son, Thomas, maybe a fourth generation family member could join the family business! Gordon Mankelow is a Director of Relativity a Business Technology Specialist, helping clients implement both their business processes and their technology requirements, integrating the two wherever they overlap. Although Gordon works with local, national and international clients he does this from his home office just outside Crowborough. 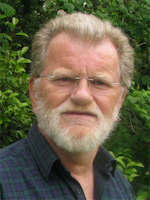 Having been born in Tonbridge and later living in Tunbridge Wells Gordon moved to Crowborough in the early 1990’s and has lived on or around the Forest ever since with his Wife and two Children. Gordon is keen to keep Crowborough as a vibrant business community in the future whilst not forgetting its history. Roger has been a professional photographer for many years and remains passionately interested in portraying people. His main career was in education and he spent the last ten years prior to retirement assisting with the development of a UK-wide schools' videoconferencing system. He retains an interest in the project acting as an occasional consultant and troubleshooter. He is a devoted francophile and supports any initiative that develops Anglo-French relationships. Born in Birmingham, he came to Crowborough in 2011 after living in Suffolk for twenty years. He and his wife have greatly appreciated the friendly nature of the town's inhabitants, especially those whom they have met through the Chamber. Jeff is a retired Chartered Town Planner with over 30 years experience in both the public and private sectors. He has worked for South Tyneside Council, East Sussex and Kent County Councils, and for Wealden District Council. More recently he worked as a town planning consultant for DPDS Consulting Group, a national planning and design consultancy, where he was the Regional Director for the South East of England. 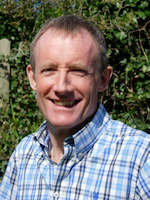 Jeff set up his own town planning consultancy, jmtplanning, in March 2012 offering a full range of services. Jeff has lived in Rotherfield since 1985 with his wife, Angela, where they have raised their two children.